Italians celebrate New Year’s Eve by observing a number of traditional rituals, such as wearing red underwear. Although, Chef Adam Vaughan and Bar Director Giovanni Giardino won’t disclose the colour of their undergarments, they are planning a colourful Italian feast based on seasonal fare, priced at $45 per person for groups of 4 or more. Guests can expect to indulge in a variety of dishes which will include antipasti, primi, pizza, secondi, contorni and dolci. Fan favourite’s like crispy ceci, vitello tonnato, the Cure’s housemade salumi, and secondi including fish, beef and Sloping Hill pork plus two different kinds of desserts are to be expected. 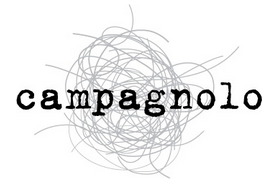 Campagnolo Restaurant is accepting reservations for their $45 New Year’s Eve Menu for parties of 4 or more on Monday, December 31, 2012. Guests are invited to make their dinner reservations, for the New Year’s Eve Menu, in advance by calling 604 484 6018. A credit card number is required to book. New Year’s Eve dinner reservations are only available for parties of 4 or more guests dining with the $45 New Year’s Eve Menu on Monday, December 31 2012. Reservations must be made in advance by calling 604 484 6018. A credit card number is required to book.